When Cold Sores Are Considered Dangerous? Did you notice a small red blister on your toddler’s nose, mouth or other parts of the face? It might be cold sore! These blisters can make your toddler cry and create a lot of fuss as they tend to be painful. First you need to stop panicking, if you are already doing it. Secondly, read through our little guide on how to handle cold sores effectively in your toddler. Cold sores are also known as fever blisters. These might appear as clusters or as single spot on your toddler’s lips or at the edge of mouth. Later these would break up and have clear fluid leaking from them, form a crust and then would disappear after some days. However, these sores have nothing to do with cold as their name suggests. Herpes simplex virus Type 1 and 2. Sharing the same toy, cup or bowl used by an infected person. If mother had genital herpes and delivered through vaginal birth. If someone with cold sore infection kissed the toddler. 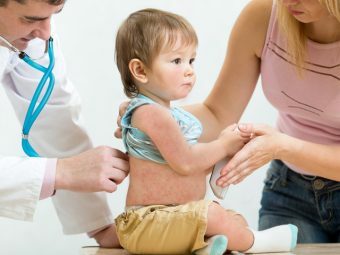 We have compiled the symptoms as primary and secondary symptoms to help you keep a watch over your toddler and recognize the fever blisters immediately. 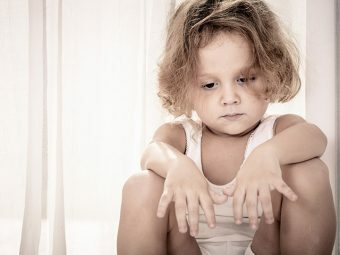 As a toddler will not be able to express the feelings, parents have to monitor closely to detect the symptoms at an early stage. It is very rare for a toddler to get cold sores, during first six months. This is because of the antibiotics the toddler receives from the mother through milk. 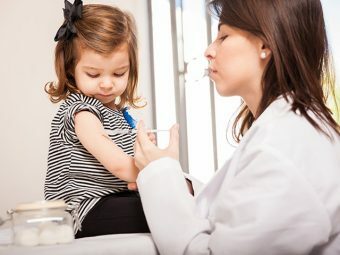 If a toddler gets cold sores, within first three months, visit to the doctor is must. The infection may spread to other parts of the body, including brain leading to a fatal condition. A toddler suffering from cold sore should not touch eyes as the virus may cause eye infection known as ocular herpes. If a toddler has a cold sore in the eyelid, seeking medical help immediately is a must as this may affect cornea leading to blindness. Apply ice pack or place wet towel on the affected area, to ease the redness and inflammation. Stop giving citric fruit juices or acidic foods like tomatoes, lemon, oranges, etc. If you have genital herpes, you need not worry about breast feeding your toddler as the virus will not get transmitted during this process. If you or anyone in your family has these blisters, refrain from kissing your toddler. This is because the virus might get transmitted through saliva while kissing. In addition, it is important to know that you maintain a separate set of utensils and toys for your toddler. 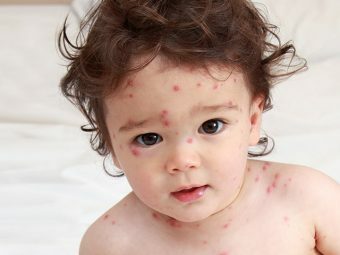 It has to be noted that though a toddler would be better in two weeks, the virus might remain dormant in the body and might trigger cold sores occasionally. Hence, it is important to seek effective cold sore treatment for toddlers to eliminate the virus completely. 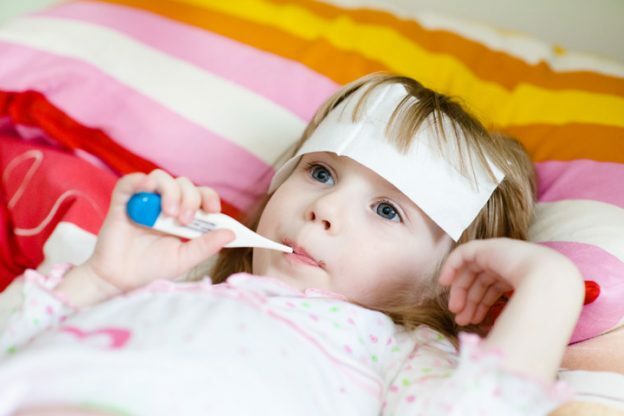 We hope that the information we compiled about the causes, symptoms and dealing with cold sores in toddlers was useful. If you know any other information regarding these fever blisters, feel free to share it with us by commenting below. Drooling In Babies: Why Does It Happen And How To Deal With It?